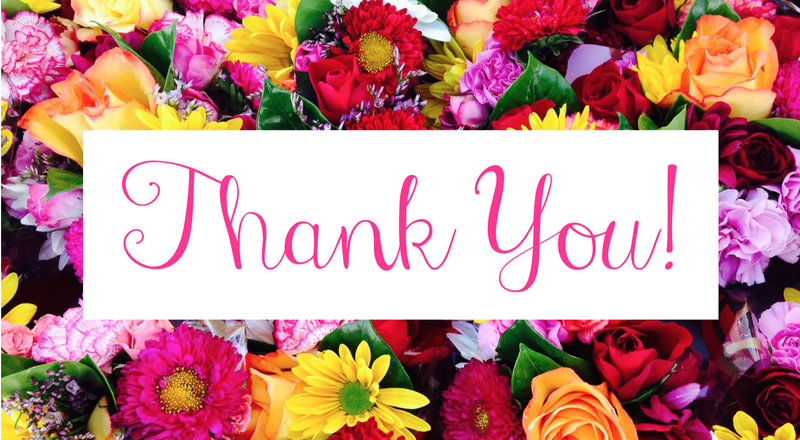 I just wanted to say a huge THANK YOU to each and every single person who has been following my blog. Whether you have been following me since the beginning or if this is your first time stopping by Elizabeth, Marie, and Me, I want you to know that I am truly grateful for your support! 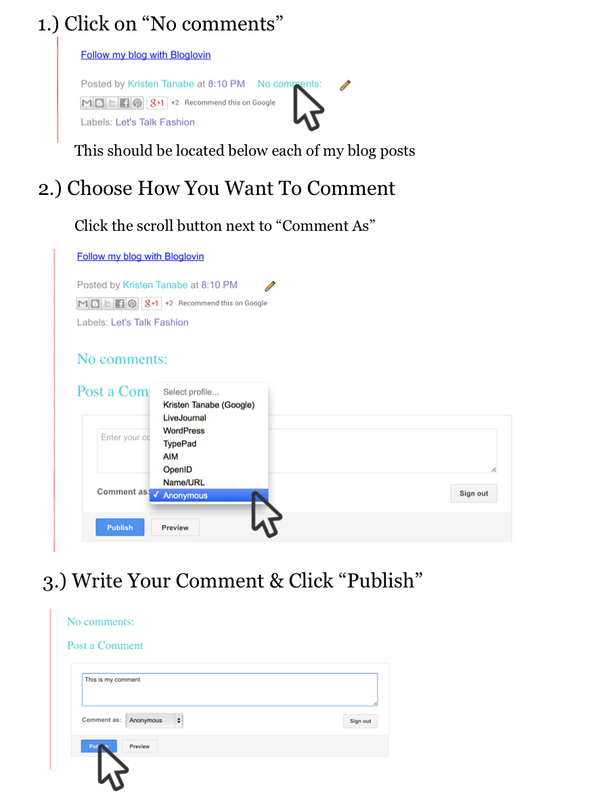 QUESTION #1: How do I comment on a blog post? QUESTION #2: Why don't my comments show up in the comment section? Answer: I am not 100% sure why that happens. If you commented on the post using the method above and it still doesn't show up in the comment section, you can always email it to me and I will reply to it personally. Also, if you are using a Google account while commenting and it doesn't show up, you might want to add an email to your account. 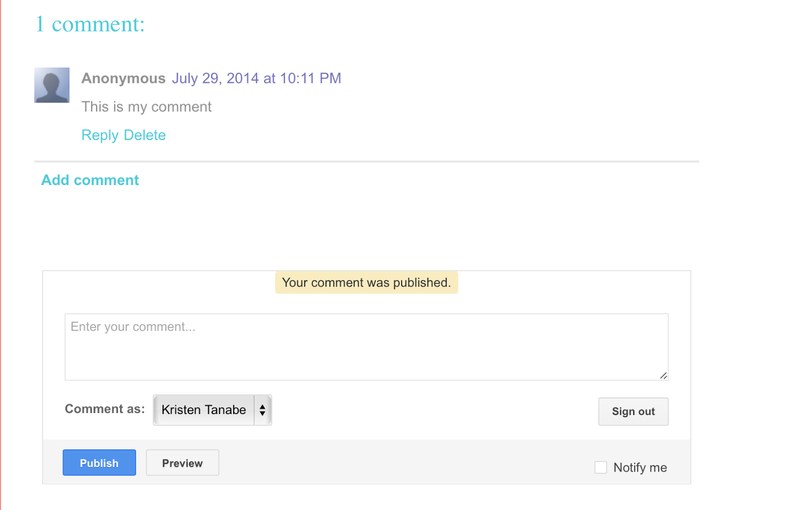 You can click HERE for the tutorial on how to fix "no-reply" emails/comments. QUESTION #3: How can we keep in touch? Is there a way I can sign up to this weblog to get most recent updates? Answer: Every time I post something new on my blog, I will also update my social media sites. You can follow me on: Facebook, Pinterest, Instagram, and Google+ to get updates whenever I post something new. If you would like to keep in touch by email, you can reach me at kristentanabe3@gmail.com. Also, if you have an account with Bloglovin and/or ilovefashionbloggers, you can follow me there too! The links are in the upper right hand corner of this post as well as my homepage. QUESTION #4: When starting a blog, do you have to manually code with HTML? Answer: First off, I would like to point out that I am not super tech-savvy. Whatever I have learned about blogging and codes was from watching YouTube videos and reading how-to articles on Google. Since I set up my blog myself, I had to do a lot of research. Personally, I use Blogger because it's not super complex when it comes to codes. I had to import codes into my blog in the beginning (for the background, icons, etc. ), but when writing a post, I just type in the "Compose" section. However, I manually add in the codes for the "pin-it" buttons in the HTML section. If any of you would like to know more about how I started my blog, let me know in the comments below. QUESTION #5: What host do you use? Answer: My host is Blogger because it's simple enough for me to use. However, I purchased my domain name from GoDaddy.com. I hope I answered all of your questions! If I missed one, email it to me or comment below. Thank you again for viewing my blog and for all of your wonderful comments. They truly do brighten up my day! Sending each and every one of you lots of love from my heart to yours! It is one of the biggest mobile browsing apps in for the smartphones to play videos. This browser also supports the pages of the browser. You can download it from the google play store.